After sitting dormant for more than 30 years, the Terminus Hotel in Sydney's Pyrmont is set to reopen its doors next week after a major $2 million restoration project spanning two years. The 155-year-old pub, where dock workers and industrial labourers used to drink, was one of Sydney's toughest watering holes in the 1950s. After Susan and Isaac Wakil bought the property for $250,000 in 1984, it became the home of squatters and was known in the community for its ivy-cloaked facade. After 33 years, the pub has been brought back to life and will include nine hotel rooms, an alfresco courtyard, a glass-encased terrace and a traditional public bar downstairs. 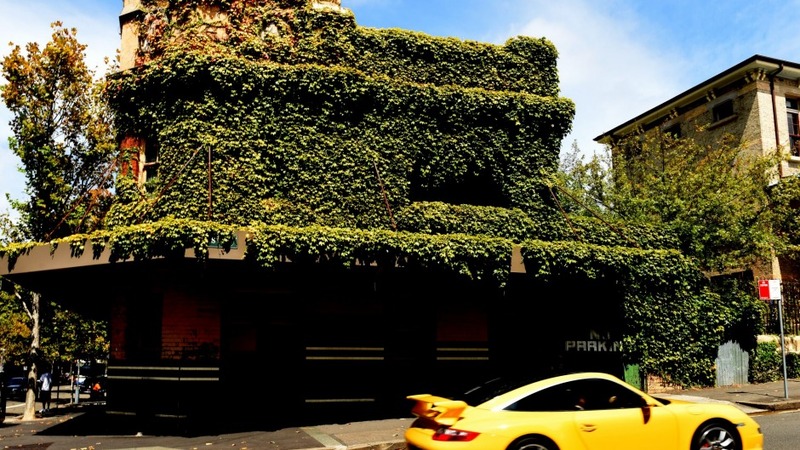 Owners David Mathlin and Binu Katari felt compelled to restore the abandoned building, buying it for $4.75 million from developers Auswin TWT in 2016. "The vision was to bring it back to its glory and to make it a bit more modern but also have something that would be part of the community and enjoyed by the local residents," Mr Katari said. The pair had experience in buying and restoring heritage houses in the city's eastern suburbs, but this is their first pub project. "We both knew Pyrmont very well, we have a long association (with the area) and we thought this would be the next project," Mr Mathlin said. The greatest test was to bring the heritage-listed property up to modern standards in building codes and fire safety provisions. "It would've been easier to start from scratch, but modifying it, maintaining the old building and making it compliant was a real challenge," he added. Restoration of the building, modernised by designers Luchetti Krelle and heritage architect Garry Stanley, cost upwards of $2 million, the development approval shows. The two owners will also be managing the pub independently, after an initial agreement with Harvest Hospitality's Fraser Houghton and Chris Cornforth fell through. Built in 1863 as the Cooper's Arms Inn, one of NSW's largest breweries Tooth and Co acquired it in 1899 and remodelled it in 1917 into the Terminus Hotel as it stands today. It was named Terminus as its location at the corner of Harris and John Streets marked the last stop of the former electric tram line. Shirley McElwaine, who ran the hotel from the 1970s until it closed in 1983, was forced to shut the business due to a lack of patronage, as local residents moved away with many industrial employers folding in the area at the time. "I never thought I'd see it restored like this," she told Commercial Real Estate. The Maitland-based ex-publican said although her memory of the place was very different to what it is today, she felt more excited than sad and "would like to come back". "It was just a typical, old hotel with rooms, shared bathrooms upstairs and a big pool room with jukebox and pool table (downstairs). "It's incredible, this is what you have to do, it's progress – it's like a boutique hotel now, not an old drinkers' hotel." 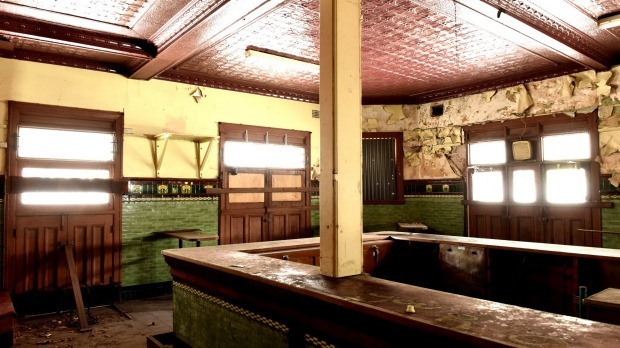 Historian Shirley Fitzgerald, who recently published a book on the hotel Terminus: The Pub that Sydney Forgot, said it was "really exciting" to see the business reopen, as it was rare for a pub to retain its historic features. "They're keeping all the old pressed metal ceilings and the old bar; not many pubs would still have that kind of stuff because not many pubs have been locked up for 33 years," the author said. As it was illegal to serve liquor on Sundays in the 1950s and 1960s, many publicans were fined for selling alcohol illegally. But the Terminus successfully found a way around this ban. "The routine was that you would go up to the pub and there was a particular rat-a-tat-tat that you had to make on the door with a penny, and she (the manager) would let you in," Ms Fitzgerald said.